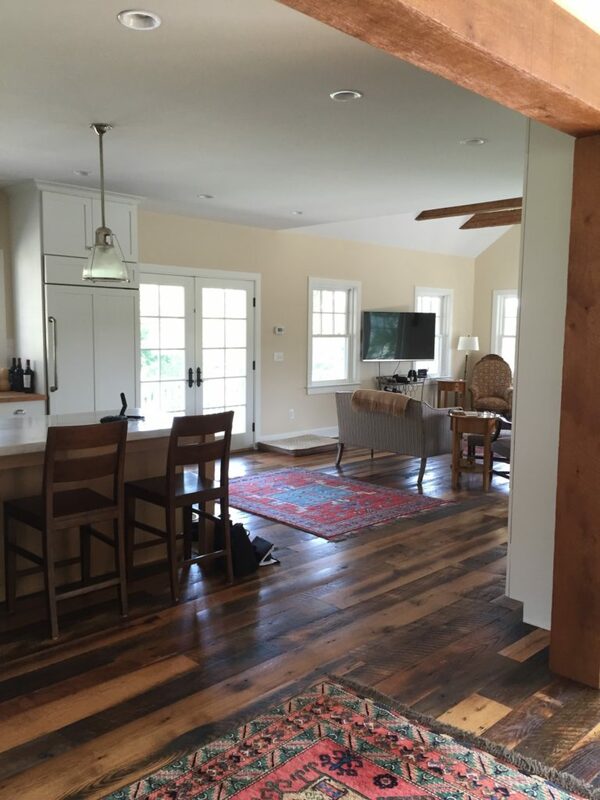 This floor was installed in a new home built on a horse farm in Long Valley NJ. 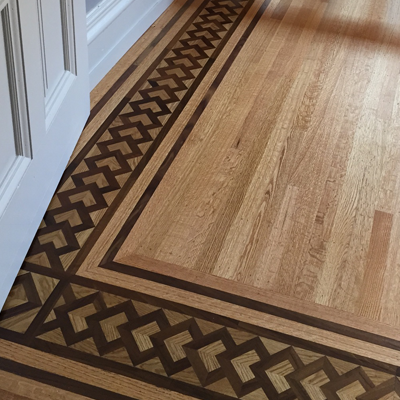 The materials and layout were chosen prior to Artisan Wood Floors being brought on board. 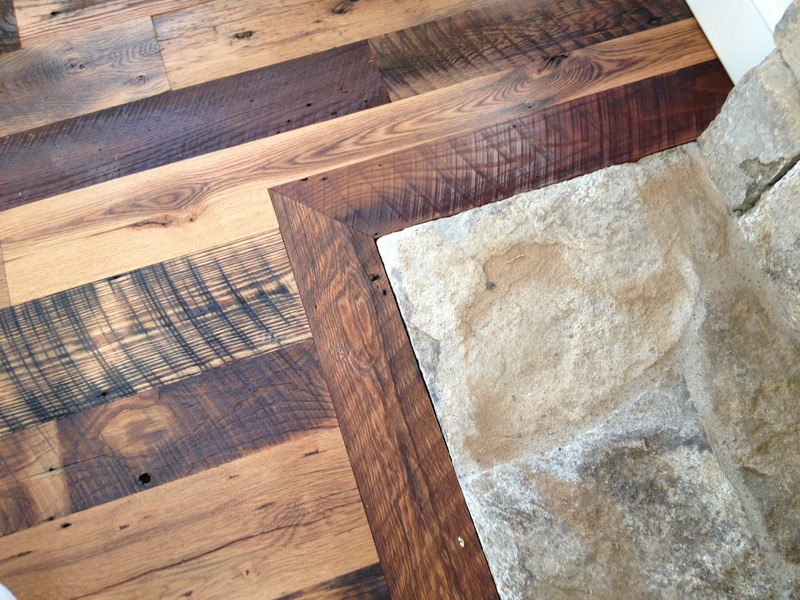 This floor was installed in a new home built on a horse ranch in Long Valley NJ. 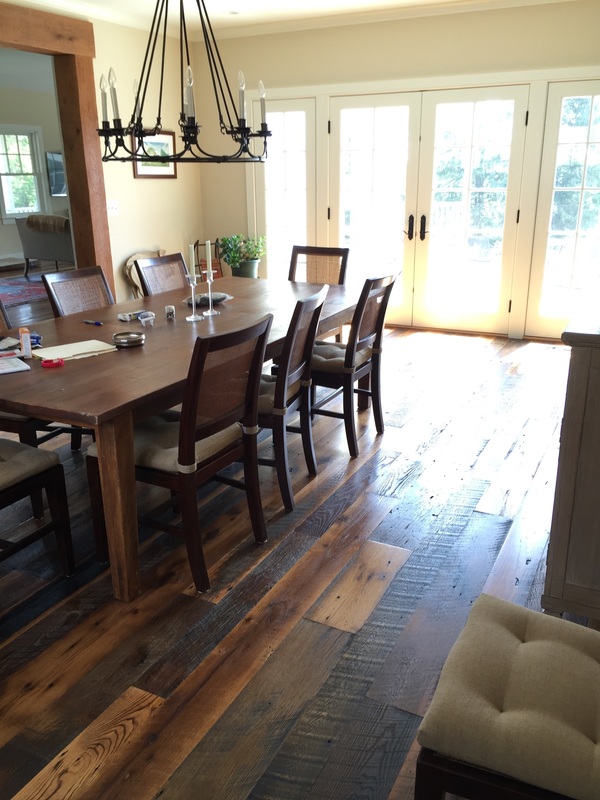 The materials and layout were chosen prior to Artisan Wood Floors being brought on board. The first floor was specified to be a straight lay installation (over radiant heat in some areas), using random width reclaimed flooring. 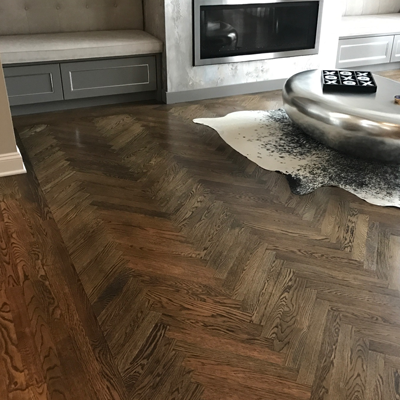 The flooring itself was a mix of skip sawn, reclaimed red and white oak and had a very nice patina which we were careful to not remove during the sanding process. 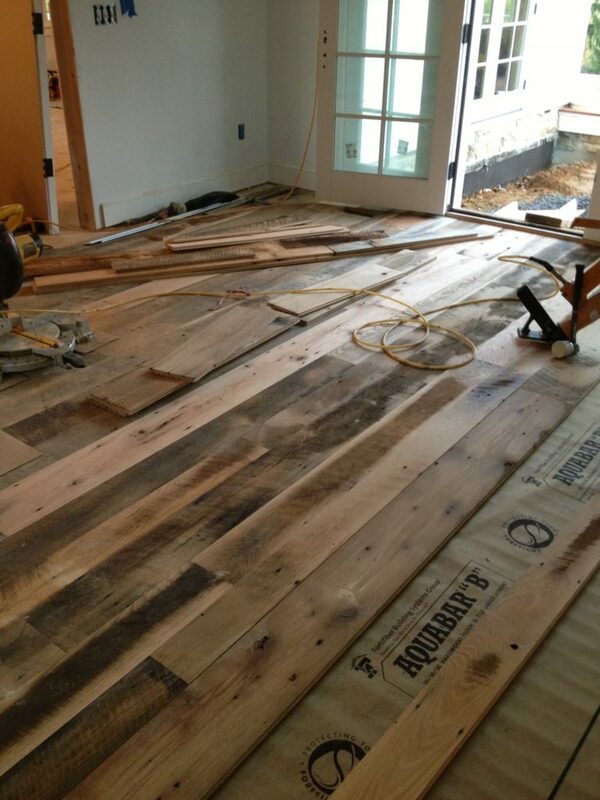 The second floor was to be a straight lay installation of reclaimed, 5” heart pine. 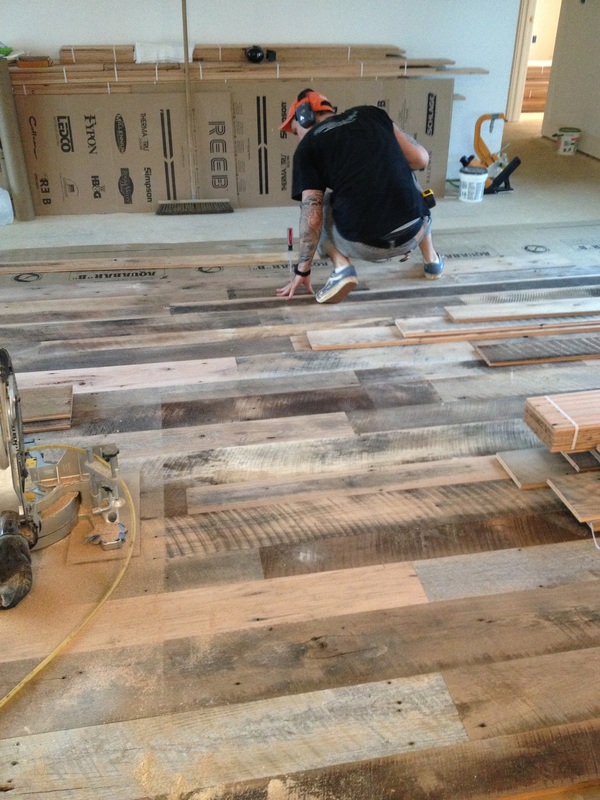 1st floor Mix of random width, reclaimed, skip sawn red and white oak. 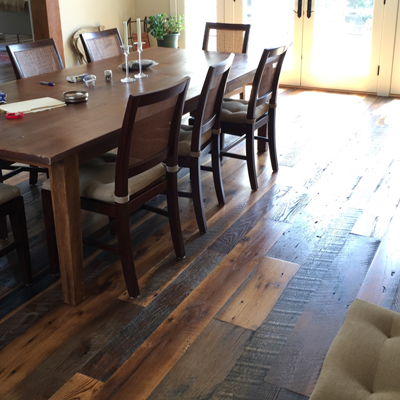 2nd floor Reclaimed 5” heart pine. We generally install the upper floor first, but in this case, we started with the first floor. As this was new construction, minimal work was required to prepare the subfloor. After consulting the drawings provided by the architect, we were able to determine where to set our first line. 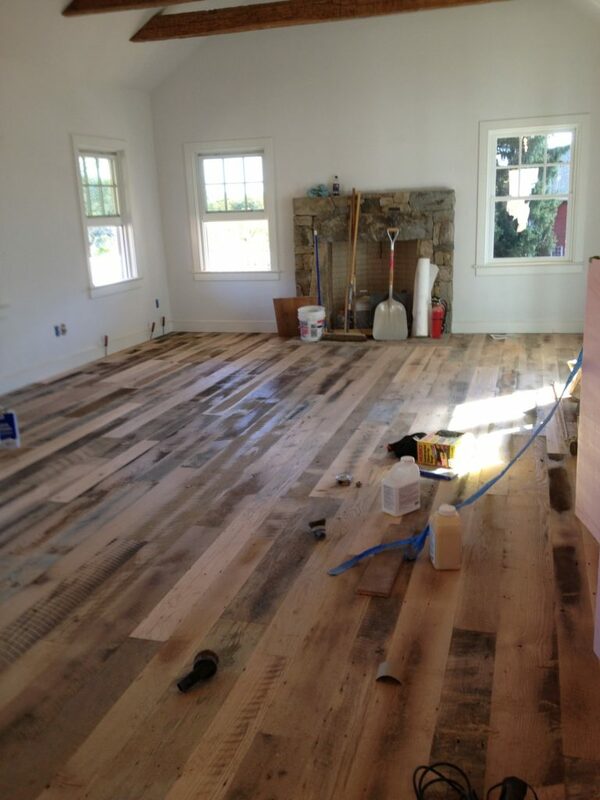 We then set our width pattern and proceeded to install the flooring. When this task was nearing completion, we split our crew and started the installation of the heart pine on the second floor. 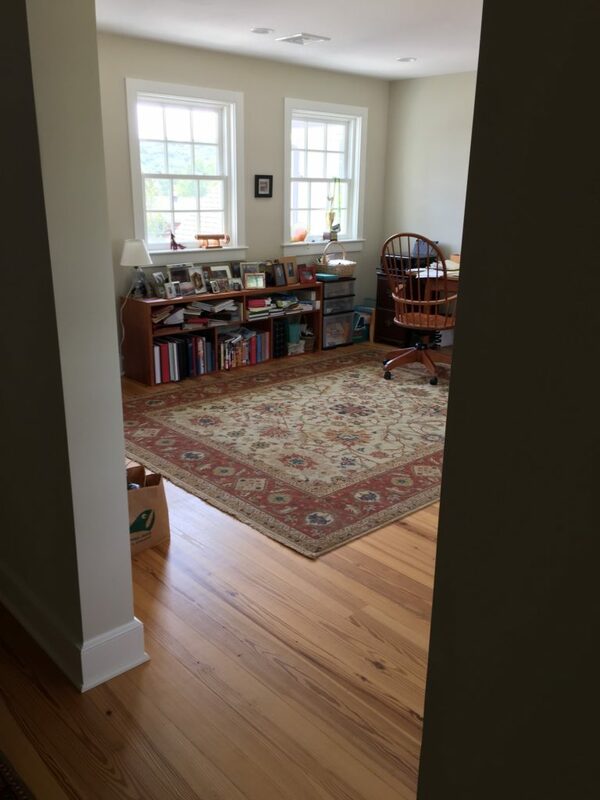 This was a more basic installation because the flooring was all one width. While the second floor was being installed, the first floor was being hand scraped to bring down high edges. When this was completed the sanding process began. Much care was taken in order to not eliminate the patina in the material. 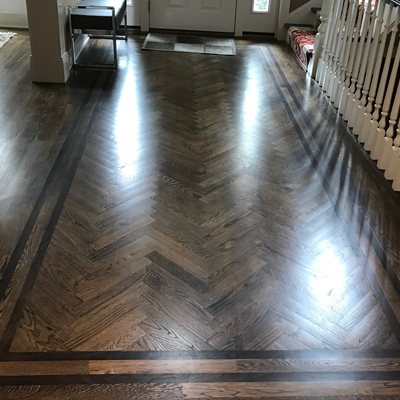 It was necessary to do quite a bit of hand sanding and then a buffer was used to give a light uniform sanding across the entire surface of the floor. At this point, the second floor was ready to be sanded. A much more traditional sanding process was utilized here, starting with the big machine and edger at 50 grit and moving up to 80 then 100 grit, finally finishing with a buffer at 120 grit. We then applied 2 coats of Basic Coatings waterborne Emulsion tinted with Amberizer to give the floor a more traditional oil polyurethane look and finally top coated with Basic Coatings waterborne polyurethane Street Shoe. 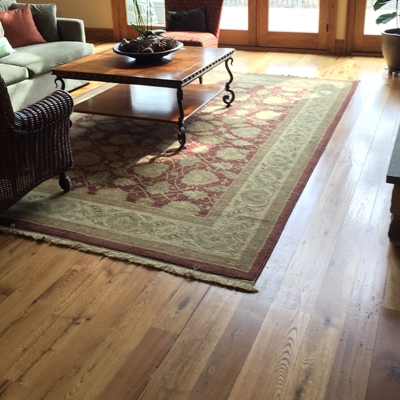 The first floor was coated with 3 coats of Dura Seal’s satin sheen oil modified polyurethane. Working with Steve and his team was a great experience! They did amazing work in my home. I had old carpet removed, new hardwood floors installed and my pine steps refinished. They were always prompt and did a good clean up job. Steve is honest, trustworthy and communicates with you during the whole process. I would highly recommend and use them again!